What Is The Unlimited System - 7 Red Alerts You Must Know. Look Closer. What Is The Unlimited System – 7 Red Alerts You Must Know. Look Closer. 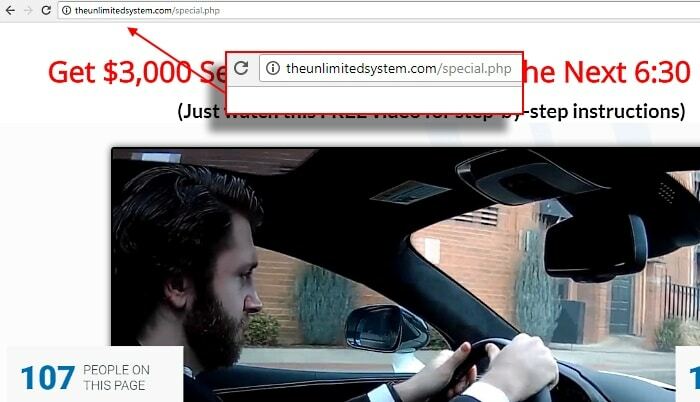 What is the Unlimited Systems and will it make you $15,000 – $50,000 a day in profits? Or… Is the Unlimited System a scam? Please read the detailed review below and you will see exactly what the Unlimited Systems is, how it works, and whether it will make your coffers overflowing. Let’s dive right into the details. My Verdict: The Infinity App is a scam. Stay away! Better ALTERNATIVE to the Infinity App Scam That’s Uniquely Yours. And These Testimonials Are Proof. … Do not ask shady Binary Options to a dance. Therefore, this is my personal recommendation to you – learn to make legit side money online in a proper way. How to do that? Well… For example, here is how I have done it (Yes, I am using it since 2013). 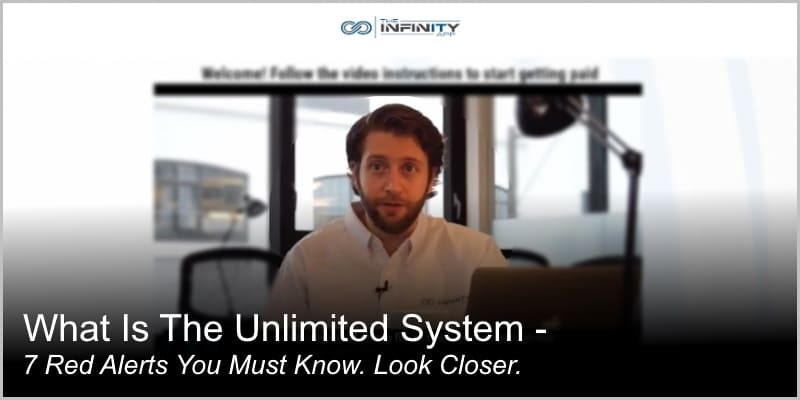 Full Review – What Is the Unlimited System? 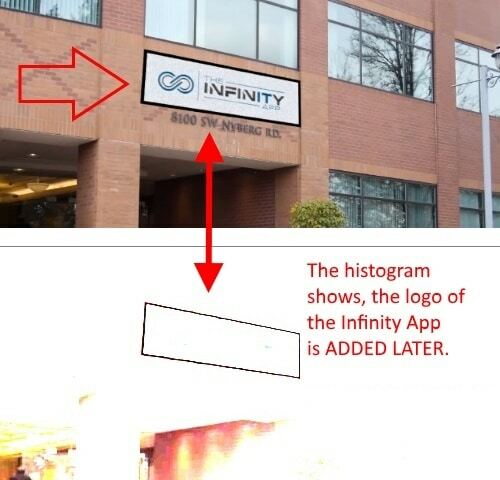 What they are promoting is the Infinity App, created by Mark Stevenson. So therefore, we can use these two brand names interchangeably. According to Mark’s own words, he is a creator and CEO of the Infinity App Enterprises. Before that though, he was allegedly one of the smartest engineers in NASA. While working for NASA he was assigned to be the head of the project about predicting meteorite trajectories (back in 2009). Then one day a thought hit Mark that a lot of lines of code in that formula could be applied to predicting tons of other things as well. It just required few small changes to the code. For the next couple of years Mark worked on his own project. Also, he invited a couple of other brilliant guys he had met while working at NASA to team up with him. 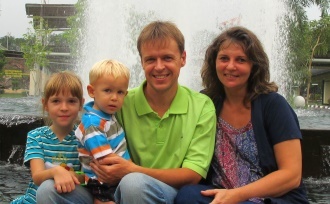 Together they went on and created the Infinity App trading software. What is the Infinity App? 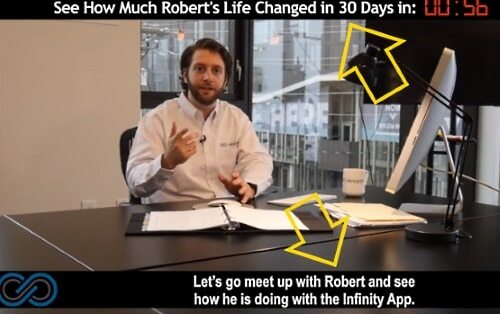 Well, according to Mark Stevenson, the Infinity App is the most profitable money making software in the world. Powered by the same predictive algorithm used by NASA, Mark and his team could turn the Infinity App into the most profitable push button software in the world. So what is it and how to make money with the Infinity App? Well, in short, the Infinity App is a Binary Options trading software (read my detailed review here on how Binary Options work). In order to trade Binary Options you first need to open a trading account with some Binary Options broker. After that you must fund your account so that you could start trading. 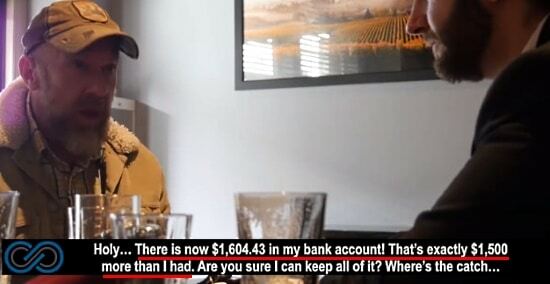 The problem here is that it is real money, your money. Yes, you can lose it. The Infinity App has two modes – 1) the Manual mode which allows you to trade, and 2) Full Autopilot, in which case the software does all the trading for you. According to Mark Stevenson, when you switch the Infinity App to Full Autopilot, the software wins 100% of trades and never loses a trade. Wait a minute! Keep reading because it’s not the whole story. I am going to debunk the whole official narrative below and show you the Ultimate System is nothing but a vile rip-off scheme. The Infinity App trading software is 100% free indeed. That’s true. However, don’t think for a second that the whole thing will be free for you. Because it’s plain wrong and the scammers behind the wicked scheme are clearly after your hard-earned money. As already mentioned above, $250 is the minimum amount that you are required to deposit into your trading account. This is real money, your money, and it will be used for trading. You can make profits and you can lose it. Be aware, though, the free trading software and $250 are only bites for you to swallow. Then, once they have hooked you, expect to land in a boiler room where professional high-pressure sales people squeeze every single penny out of your credit card. Seriously! Truth be told, Mark Stevenson, the former smart NASA engineer, is a fabricated character, played by a cheap actor (as it is always the case with online scams like this one here). Think about it: If he truly were one of the most brilliant brains behind NASA algorithms, there would certainly be a ton of traces left behind. For example, Neil DeGrasse Tyson is one of the top astrophysicists in the world. Google his name and you will find his Wikipedia page, his social media accounts, books, articles, videos, etc. Google “Mark Stevenson” and you will get nothing. Zero. Nil. Nada. Google “Mark Stevenson NASA” and you only get the Infinite App reviews. The guy is fake. It’s clear as a clear sky. There’s no such brilliant brain from NASA. And more importantly for you, there’s no such 100% accurate predicting algorithm behind the Infinity App either. The whole thing is fraud. Red Alert #2: The Unlimited System involves Zero Risk? Really? Remember, Binary Options is a high-risk business opportunity which is not suitable for Average Joe or Jane. As you might suspect, there’s no such company as Infinity App Enterprise. To record their fraudulent video, the scammers just drive some rental Mclaren sports car around Tualatin Valley, Southwest of Portland. And, as you might suspect, the video is edited. Aha! … That’s what we get: It’s a Lakeside Center instead. Wow! Yes, the same “live testimonials” widget is used by the Quantum Code scam, Brooks Blueprint scam, etc. All the face images are the same and taken from the randomuser.ru website. Here’s a question for you: If the product is genuine and profits honest-to-God awesome, why on Earth cheat and deceive customers with fake testimonials? I will leave you to answer. As you already know, the required minimum deposit is $250. Plain and clear. The narrative looks genuine? No! Because you cannot start trading with only $104 in your account to begin with. It was only after that Mark Stevenson went out to find his first beta-tester. He found Robert Williams and half an hour later Robert withdrew his first profit $1,500. 30 days later Mark meets Robert again to check how the latter has done. So what date do you expect to be then? April 26 or something, right? How come 30 days later it is still March 27, 2017? See how ridiculous all the official narrative is! When you google the Infinity App reviews, you will find tons of positive reviews as well. All of these are written by the affiliates who hope to make money on you. That’s why they are lying through their teeth to lure you into a costly subscription. Claims like these are so stupid that I don’t even bother with them. Truly, human greed and shamelessness are limitless. Truth be told, there are many-many more red hot warning signs (like the Infinity App website is a clone of Quantum Code site; that Robert William the beta tester is so ridiculously poor and unrealistic actor, etc.). I just don’t have enough space or time to analyze them all. However, I think these 7 red alerts have already proved beyond doubt that The Unlimited system is a scam. My Verdict: The Infinity App is a scam. It is full of lies, contradictions, and fabrications. Ward off! You know the “why.” I can only confirm and encourage you – YES! It is absolutely possible to make side money (or even a second income) online. And hey, it is possible to do it WITHOUT getting involved in high-risk Binary Options trading and other scams that will rob you blind and leave you out to dry without any feelings of guilt or remorse. If you are interested, here is, in my humble opinion, by far the most complete program for creating a thriving internet business from home (even if you are an utter novice). It won’t cost you a bean to find out if they can help you. Thank you for taking time and reading my review. I hope you found the information that you were looking for. Now that you have reached the end, what do you think? Is the Infinity App a scam or legit? Please let me know by dropping a comment below. Thanks for the review and warning against these scams. Unfortunately, I was involved with a couple of binary options software that made it seem you will be a millionaire by the end of the month. I was new to the whole make money online scene and very naive, and this is who they target. I think the binary options industry needs to be regulated a lot more, too many of these scams seem to pop up every month and I still get emails and text messages about the next great software. Hi, Minhaj, and thank you for taking your time and sharing your thoughts. I got hammered by online scammers too when I was still a complete dummy in the make-money-online world. Hey, it’s not nice feeling to get scammed, is it? However, that awfully negative experience turned into a positive one when I decided to figure out how to make money online in a right way. I don’t remember anymore how but soon after I stumbled across Wealthy Affiliate and I have never regretted. Look closer and you will see why (in fact, thanks to their training I am where I am today). 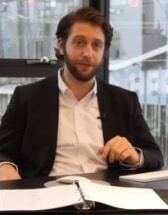 As for these binary options scams, they are just so annoying – Once I made that mistake and gave them my phone number. The result was that they kept calling and calling and calling and there was no way I could stop them. At the end of the day, I had to change my phone number to get rid of them. Now I know – you end up in a boiler room, face to face with their high pressure sales people who eventually will rip you off – if you give them a chance. Better don’t touch binary options and you can sleep in peace. My guard went up the second I read that this App is capable of delivering a 100% result, that is utter nonsense. Why would he give us the formula that is making him rich for free? My guess is that, there is no such thing. You have done an amazing job of exposing these scammers. Not interested in binary option trading anyway. I am interested in your business opportunity though.I will be checking that out. Thank you for the comment and kind words, Roopesh. You are right – 100% winning rate is a flat out lie, that’s as clear as a clear sky. The sad fact though is that still thousands and thousands of unaware (and often desperate) people fall victims to these dirty binary options scams. The scammers obviously know how to sell people dreams – it’s all about human psychology – and then separate them from their hard earned savings. The opportunity that I offer – well, I like it because, 1) there are no upsells, 2) the training is easy to follow, 100% newbie friendly, and very practical; 3) the support system is just amazing; 4) the whole platform is all-inclusive, you get everything from one place. No need to search the internet to look for different pieces. And 5) It’s genuine – those members (even utter dummies) who follow the training and are willing to invest their time and work, start making good money online. It’s proven fact. I personally use it since 2013 and I am extremely satisfied with it. Look closer. It’s cool.